Fondant toppers are an easy and fun way to decorate cupcakes! 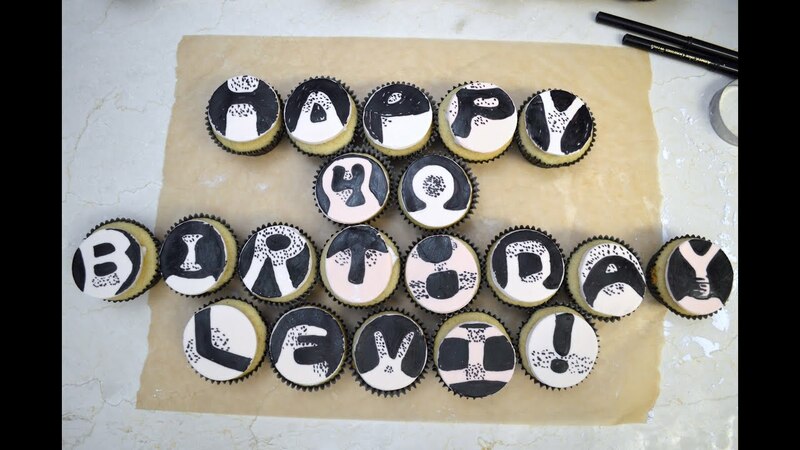 This video shows how you can use fondant and edible ink markers to create really cool toppers for cupcakes. – Preheat oven to 350ºF/180ºC. – Measure all ingredients into the mixer bowl fitted with the paddle attachment. 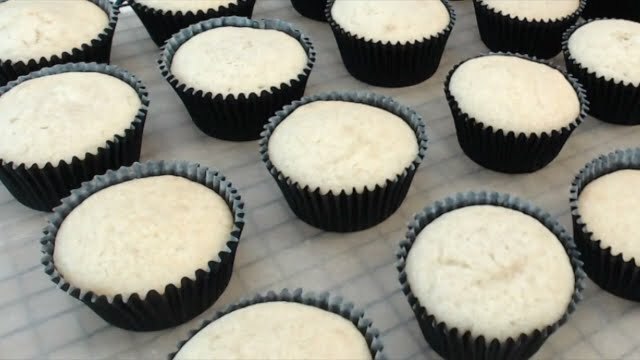 – Bake for about 15-25 minutes or until a toothpick inserted into the cupcakes comes out clean. If you want to add icing, this is an easy buttercream icing. – Place vegetable shortening/butter, icing sugar, vanilla and 7 teaspoons of water into the food processor. Mix until icing is spreading consistency and add more water if needed. This is my favorite vanilla cupcake recipe that I made gluten free. You would never know that they’re gluten free and all I did was change the flour to gluten free flour! I really like the Bob’s Red Mill Gluten-Free 1-to-1 Baking Flour because you can substitute it 1 for 1 with your all purpose flour. It has an ingredient called xanthan gum, which helps your baking rise and your result be almost the same or the same as your gluten flour recipes. I often see gluten free recipes use their own combination of flours and add xanthan gum to that mix. So, if you’re using a gluten free flour that doesn’t have it and your baking isn’t rising or isn’t as light and fluffy as you’d like, then try adding some next time.